THE KNOCK-DOWN, DRAG-OUT FIGHT YOU CAN'T MISS! Nuclear Man reveals his secret weapon: The X-Man ROGUE! 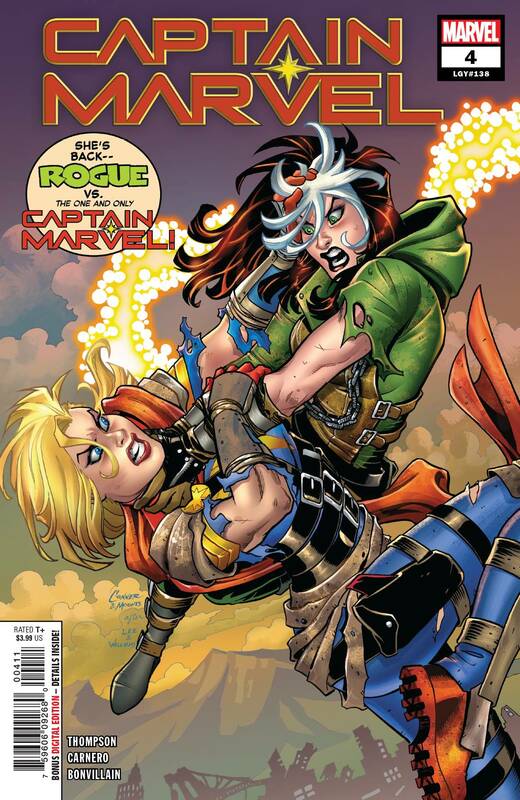 It's been years since Rogue stole Carol's powers and memories in a fight that changed Carol forever. Though Carol and Rogue have become somewhat uneasy allies in the years since, a wound like that never fully heals. And now, isolated from her allies and facing her worst nightmare, how far will Carol go to stop history from repeating itself? Rated T+.